American author Laura Elizabeth Howe Richards (1850 – 1943) wrote more than ninety books, many of them delightful morality tales especially for children. She won the Pulitzer Prize in 1917, along with her co-author sister, Maud Howe Elliott, for the biography of her mother, Julia Ward Howe (1819-1910), best remembered for composing The Battle Hymn of the Republic. We feature Richards in our collection of Pulitzer Prize Winners. Richards grew up in Massachusetts, her parents both abolitionists, her mother also an activist poet who crafted the Union's theme song during the American Civil War. 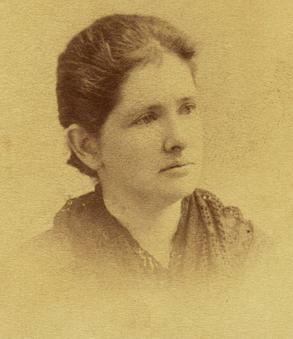 She married and moved to Gardiner, Maine to raise three children. This explains Richards' love for winter and her soft-spot for Maine, as in her feel-good story, Maine to the Rescue. Richards' literary nonsense poem, Eletelephony continues to delight children and their parents who rediscover it. It was adapted and aired on the enduring children's show, Sesame Street .